Sunlight and shadows mingle on the large coastal rocks near Dublin, polished smooth by the surf. Blasts of wind combine with roaring waves. 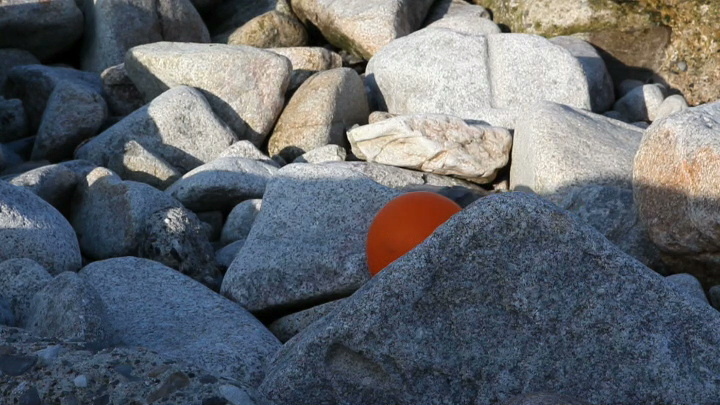 Suddenly, like an orange disk, a stranded balloon appears from behind one of the bluish-green rocks. 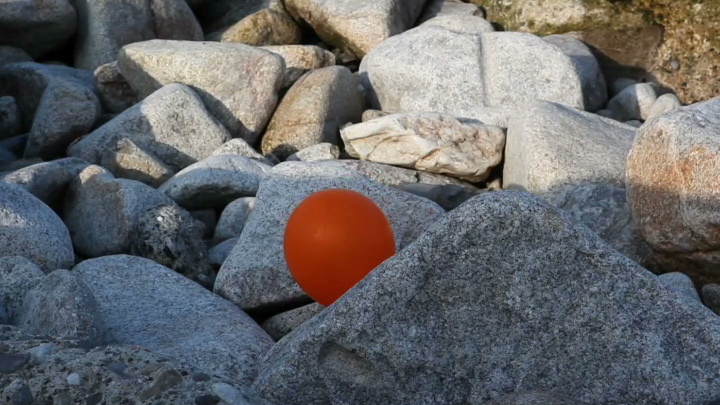 It sways back and forth in the wind, unable to break free, while the gusts carry the cries and thumping noises of playing children. 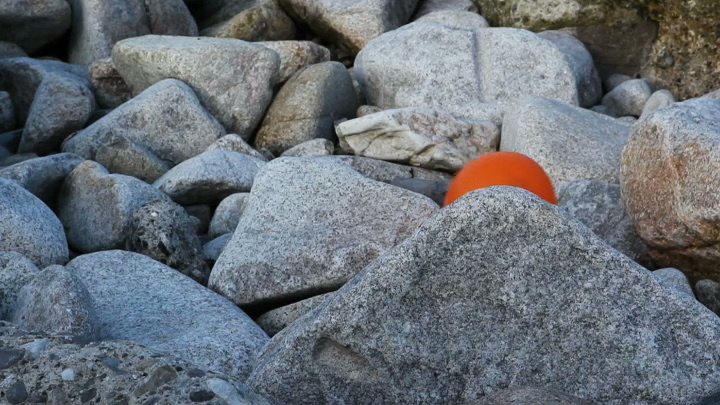 Complementary opposites are brought together in this short film: the elements of air, water and stone; light and shadow, motion and immobility, weight and lightness, permanence and transience; and also independence and confinement.